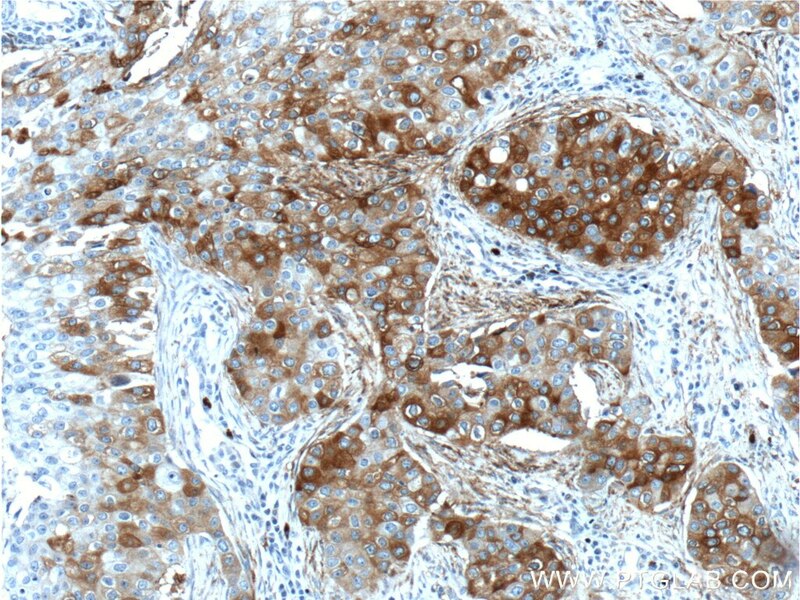 Immunohistochemical analysis of paraffin-embedded human breast cancer tissue slide using 22141-1-AP( FUT4 Antibody) at dilution of 1:200 (under 10x lens). 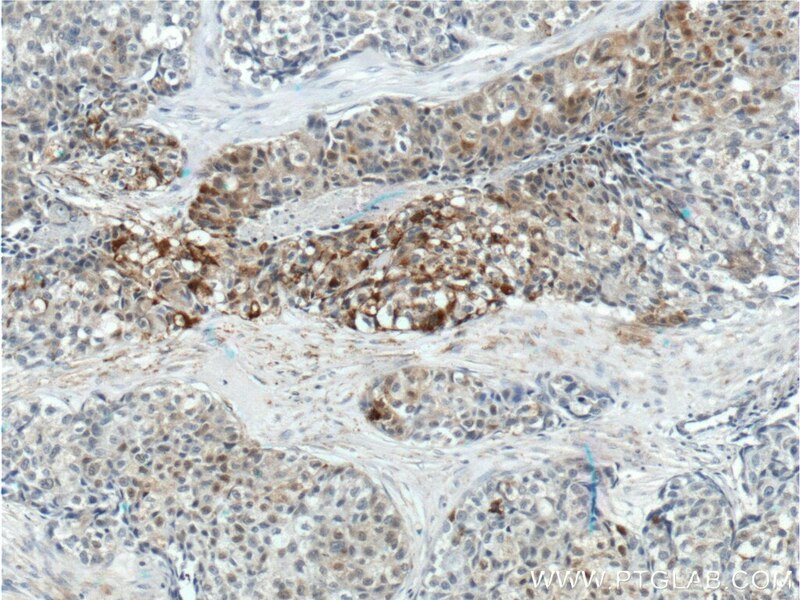 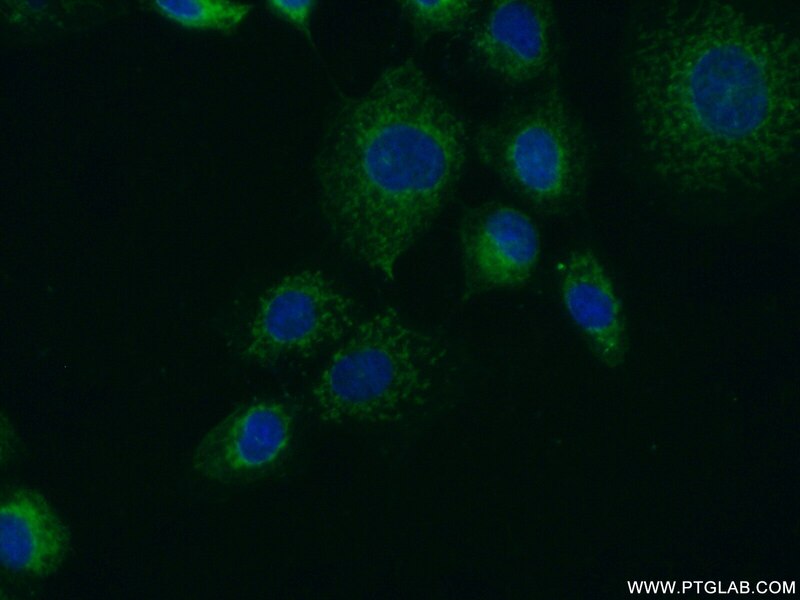 Immunohistochemical analysis of paraffin-embedded human breast cancer tissue slide using 22141-1-AP( FUT4 Antibody) at dilution of 1:200 (under 40x lens). 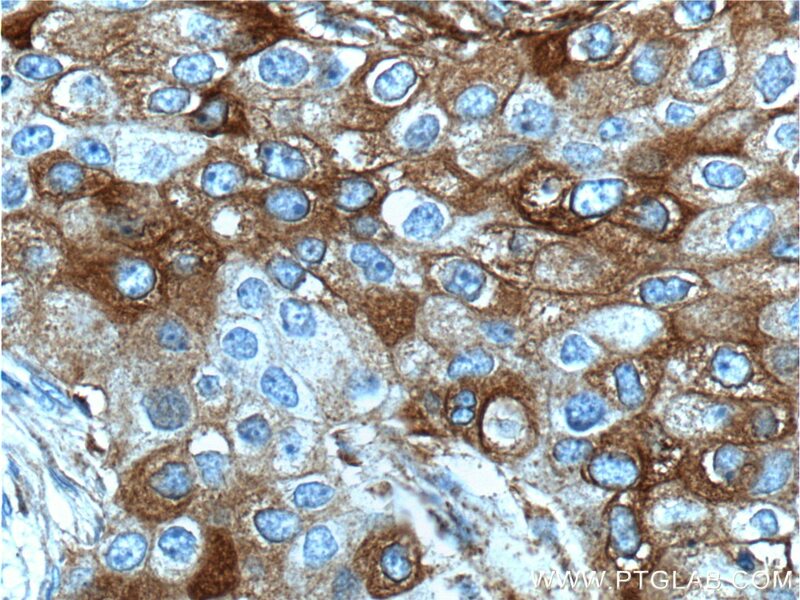 Immunohistochemical analysis of paraffin-embedded human lung cancer tissue slide using 22141-1-AP( FUT4 Antibody) at dilution of 1:200 (under 10x lens). 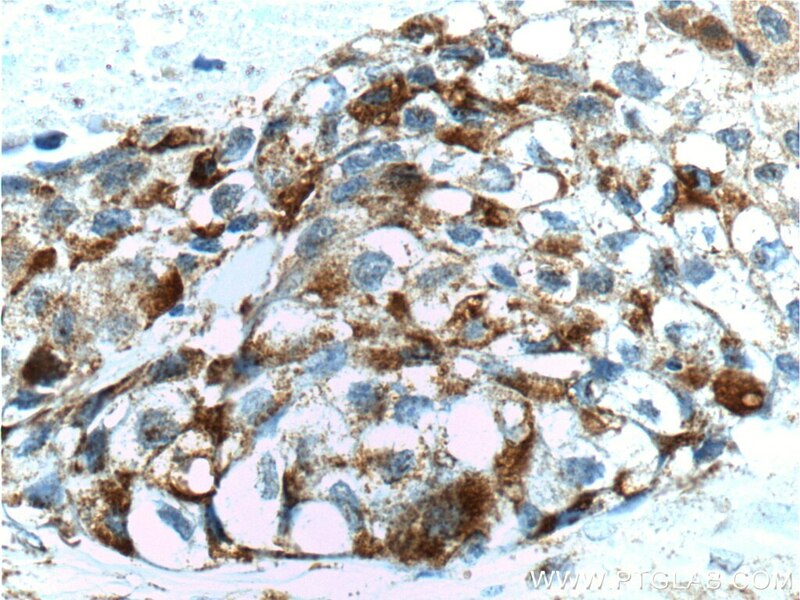 Immunohistochemical analysis of paraffin-embedded human lung cancer tissue slide using 22141-1-AP( FUT4 Antibody) at dilution of 1:200 (under 40x lens).